I saw Iron Man the other day and it absolutely gets my thumbs up. It’s good, fun action with great special effects. It’s a super hero creation story, so it’s a bit light on the action, and follows a similar template to previous super hero movies, but the way it does things is excellent. Robert Downey Jr, plays Tony Stark perfectly and the story moves along at a great pace. Definitely worth checking out. While it’s very much a guys film, I think it has the same kind of cross gender appeal of being a pure fun film like Transformers did last year. Also, be sure to stay till the end of the credits if you’re a Marvel superhero fanboy. Azza bought Grand Theft Auto 4 for his Playstation 3 yesterday. I haven’t played it yet, but I watched him play the game and it’s pretty clear the game rocks. I’m a massive fan of the GTA genre and this one looks like the best of the lot. The graphics are incredibly detailed, very impressive considering the free roaming scope of the game. The shooting controls are a massive improvement (Gears of War style), and from the cut scenes I saw, the story is easily the most in-depth it’s ever been. 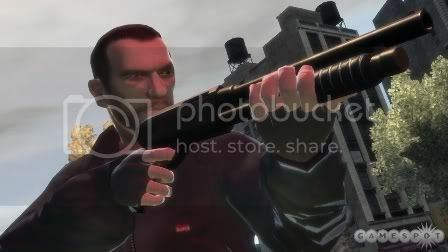 It’s essentially all the great things about GTA 3 but improved in each and every detail. It felt appropriate that this be my first post.